A little phrase in 2 Corinthians 4:17 has so much to encourage us with: “For this light momentary affliction is preparing for us an eternal weight of glory beyond all comparison”. Notice the verse doesn’t say simply that our suffering is leading to something. Or just that our suffering will end. The word is stronger: the affliction is doing something. It is preparing the weightiness of the glory. So in some mysterious way, our affliction now will contribute to our enjoyment of our eternal future. It’s hard to imagine quite what that looks like; it is a mystery to us from our time-bound perspective. But we live on faith in God’s word here that in some strange way the fruits and the lessons are amassing future joy for us. They are like payments we make now into a pension pot that we will be eternally drawing on. Here’s the key thing then: our suffering is never ever ever meaningless. Though it feels that way. God is doing something. One day that will be revealed. I stumbled across these truths in this wonderfully encouraging talk called: The Glory of God in the sight of eternity. By John Piper from 2013. You can download the transcript but listening to the audio or watching the video is even better. Listen or watch it here. You’ll need to set aside about an hour (or do it in 15 minute bursts in the car) but make sure you get all of the way to the last few minutes on John the Baptist. Here’s a stunning song too with the sermon woven in here. This article came to my attention recently. It’s called ‘Disability makes a church strong’ It’s a really really helpful and sensitive reminder. Those with disabilities and chronic illness can often wonder what we add to a church family and think our part is on the edges. Surely the strong and fit are those who play the main part, right? “On the contrary, those parts of the body that seem to be weaker are indispensable” 1 Corinthians 12:22. 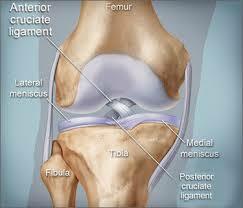 I know from knee operations years ago that the cruciate ligament is, well, crucial. It might look less glitzy than gorgeous hair or dazzling eyes or toned biceps. But without the ligament, it’s hard to get around. Overlooked but indispensable. So apparently those churches without the visibly weak – the struck down, the depressed, the disabled – are actually deficient. So, in just being part of a church family, we are already being used. More than we can imagine.